The Eagle has landed. This mech is a key component of SRAM's triple/double drivetrain-killer Eagle 1x12 MTB drivetrain featuring SRAM's incredible 10-50 cassette. 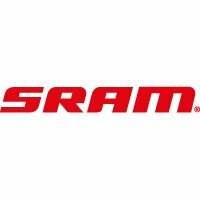 To sum up, SRAM Eagle X01 adds to the proven benefits of a 1x11 drivetrain.